Having a Las Vegas phone number is important to local branding. To simplify our service packages, we offer Pay Per Call Phone Answering bundles resulting with an understandable and cost-effective solution. Having a Las Vegas phone number is important to local branding. To simplify our service packages, we offer Pay Per Call bundles resulting with an understandable and cost-effective solution. The auto-attendant answers all client company calls; furthermore, the auto-attendant provides up to 7 dialing options to external phone number(s). In addition, clients receive unlimited long-distance in the U.S. continental. All voicemail messages can be emailed to you with the system deleting the original message; as a result, theres no calling into the Auto-Attendant to delete old voicemail’s. When adding an employee or division our clients and easily add a dedicated extension with a voicemail box. Once add, in addition, the client will receive a tailor-made message for that new employee or division. As our clients business grow Virtual Offices of Las Vegas makes it cost effective and simple to add 100 Live Answering calls. In addition, calls will be allocated at a discounted rate from the original call package. The Automated package is ideal for the startup and small businesses that wants to project a professional image with a corporate telecommunications system. whenever a caller leaves a message, the Phone System emails a .wav file containing the message and removing the message from voicemail box. Valid email address and account, appropriate audio software and speaker(s) hardware required. Client to refer to own Information Technology resources for assistance on hearing the message, as all computers are different. Virtual Offices LV cannot provide support and is not responsible for any equipment failure. Unlimited messages via auto-attendant. This package is auto-attendant only. 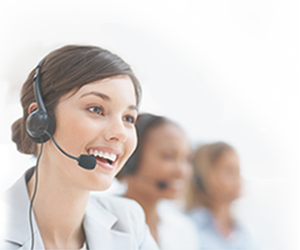 The Automated Answering packages are month-to-month, requiring 30 days notice to cancel. You may upgrade your account at any time when your business needs change and only incur the difference in setup and monthly fees at that time. *Unlimited Domestic calls to the 48 continental United States of America included. International calling rates apply on a country by country basis for all minutes. The Standard package includes live answering of calls through a Virtual Offices LV-assigned local telephone during Monday to Friday 9 am to 5 pm local time* by US-based staff well-versed on your company. Standard service is live answering of calls followed by standard message- taking. Electronic messaging only between Virtual Offices LV and client. The caller will be asked for a message to relay to recipient or if they prefer to leave a personal message through the voicemail system. A message taken by a staff member is comprised of callers name, company, phone number and subject matter of call. In the Standard package After-hours and weekend answering via human-recorded greeting, prompting callers to select one (1) of up to three (3) dialing options** or leave a message. Caller can press the appropriate dialing option and be routed to a number offsite designated by you to receive those calls directly. When a caller leaves a message, the Phone System emails a .wav file containing the message and removing the message from voicemail box. Valid email address and account, appropriate audio software and speaker(s) hardware required. Client to refer to own Information Technology resources for assistance on hearing the message, as all computers are different. Virtual Offices LV cannot provide support and is not responsible for any equipment failure. Unlimited messages via auto-attendant. Choose monthly call volume. Pricing dependent upon call volume. Live answered calls are calculated by number/volume not minutes. The Standard Answering packages are month-to-month, requiring 30 days notice to cancel. You may upgrade your account at any time when your business needs change and only incur the difference in setup and monthly fees at that time. *Live answering during normal business hours, excluding holidays. See Virtual Offices LV Closure list. **Domestic calls to the 48 continental United States of America included. International calling rates apply on a country by country basis for all minutes. The Premium package includes live answering of calls through a Virtual Offices LV-assigned local telephone during Monday to Friday 9 am to 5 pm local time* by US-based staff well-versed on your company. Premium service is a custom greeting in your company’s name when we answer your calls, following by the screening, forwarding and/or messaging when appropriate and as directed. A message taken by a staff member is comprised of callers name, company, phone number and subject matter of call. In the Premium package After-hours and weekend answering via human-recorded greeting, prompting callers to select one (1) of up to three (3) dialing options** or leave a message. Caller can press the appropriate dialing option and be routed to a number offsite designated by you to receive those calls directly. Anytime a caller leaves a message, the Phone System emails a .wav file containing the message and removing the message from voicemail box. Valid email address and account, appropriate audio software and speaker(s) hardware required. Client to refer to own Information Technology resources for assistance on hearing the message, as all computers are different. Virtual Offices LV cannot provide support and is not responsible for any equipment failure. Unlimited messages via auto-attendant. The Premium Answering packages are month-to-month, requiring 30 days notice to cancel. You may upgrade your account at any time when your business needs change and only incur the difference in setup and monthly fees at that time.